Introduce your child to the exciting world of volcanoes with the Slinky All About Volcanoes kit. 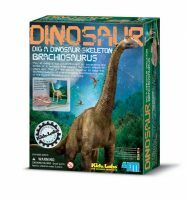 This kids’ science kit lets your child paint and display seven famous volcanoes and geysers on a three-dimensional volcano landscape. The volcano science kit helps your child mix together different lava concoctions in a safe dual-chamber volcano bottle to create volcanic eruptions from six inches to six feet high. 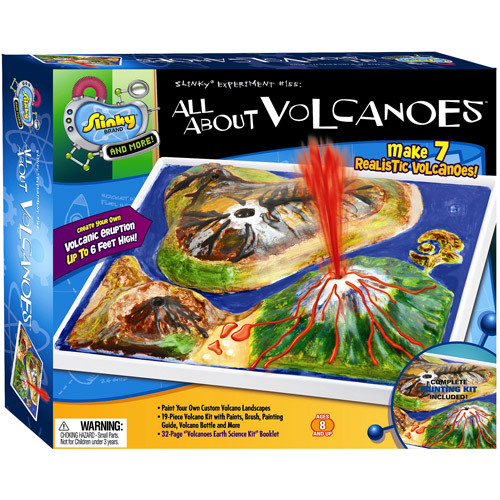 The All About Volcanoes kit comes with a full-color volcano poster and a 32-page Fun and Fact booklet with interesting information about the various types of volcanoes including how they work, where they are and why they form. Tags: game, lava, science, slinky, volcanoes, Kit.